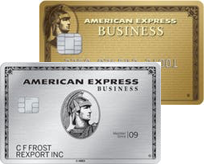 American Express membership means more than having a credit card. Each card comes with a variety of services that come in handy when you travel and shop, safeguard your identity and account information, and make it easy for you to manage your account. Here are some featured cards from Credit Karma’s partner, American Express. Earn 5,000 Membership Rewards® points after your first purchase on the Card.